I am the principal/owner at The Shultz Law Firm, Prof. LLC, in Rapid City, and have more than 35 years of experience representing South Dakota clients in personal injury litigation, business/commercial litigation, whistleblower protection cases, and other legal matters. As a sole practitioner, I am able to offer clients personalized service and aggressive representation. In personal injury cases where someone has been careless or negligent and has hurt you or a family member, I will aggressively represent you to help you receive compensation for your injuries. I have represented people injured in motor vehicle accidents and collisions, and individuals hurt by defective or dangerous products or as a result of medical negligence and wrongdoing. If you suspect your employer has committed Medicare or Medicaid fraud or abuse, you have the right to report it without facing negative consequences from your employer. I am dedicated to protecting the rights of whistleblowers who report fraud and abuse, particularly in the healthcare industry. Regardless of your case, clients who retain my services as a lawyer will benefit from my decades of experience in complicated areas of the law. 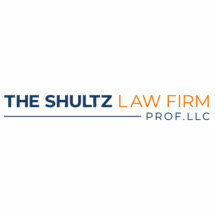 The Shultz Law Firm, Prof. LLC offers free initial consultations.